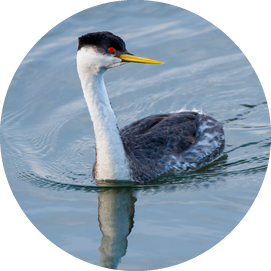 The abundant life on Willapa Bay and Grays Harbor directly to the north includes hundreds of thriving species: shellfish and fin-fish, shorebirds and migratory birds, mammals and tiny phyto-plankton, as well as threatened species such as Western snowy plovers, green sturgeon, and Pacific smelt. 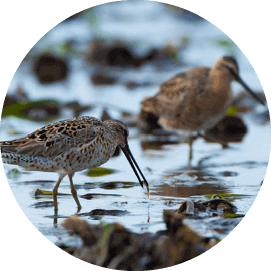 Willapa Bay was recently designated a Western Hemisphere Shorebird Reserve Network of International Importance. It is also home to thousands of acres of commercial shellfish beds, which have a high ecological value and are a key component of maintaining a healthy and diverse ecosystem in the estuary. 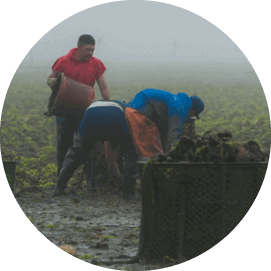 about Willapa Bay’s local shellfish farmers and their stewardship of the bay. Willapa Bay, along with Grays Harbor just to the north, represents the single largest oyster-growing area in the U.S., and produces 25 percent of all oysters in the entire country. The shellfish industry from Willapa Bay and the surrounding region generates tremendous economic impact. The largest private employer in Pacific County, local shellfish farmers here and in Grays Harbor are responsible for nearly 2,000, rural, family-wage jobs, and contribute $102 million in economic output to the region. Shellfish farmers depend on clean water and a healthy habitat. A single submerged oyster will filter seven gallons of water an hour — which means farmers are motivated to protect the water at the same time that their oysters help to purify it. Each shellfish farm in Willapa Bay is locally-owned, and many have been passed down from generation to generation. Serving as ecological stewards, keeping the water clean, and protecting the sustainability of the estuary is not just a livelihood for shellfish farmers in Willapa Bay, it is their way of life. 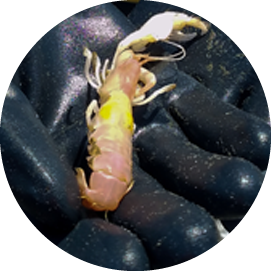 An ecosystem imbalance in Willapa Bay has led to a massive infestation of inedible burrowing ghost shrimp (Neotrypaea californiensis) in the estuary. Throughout time, the ghost shrimp were controlled naturally by predators; however, predatory species have declined, and the damming of the Columbia River has ended spring surges of freshwater that once promoted ghost shrimp mortality. Without natural controls, the ghost shrimp population has exploded. The infestation dramatically disrupts the composition and structure of the intertidal sediment, disturbing vital habitat, upending the natural balance of the ecosystem, harming the native marine life and further threatening already-threatened species. Multiple studies show that the increased presence of ghost shrimp reduces the biodiversity and the total amount of nutrients available on the tide flats, including plankton. The shrimp’s burrowing activity eliminates eelgrass and turns the tidelands to quicksand, causing shellfish to sink, suffocate, and die. 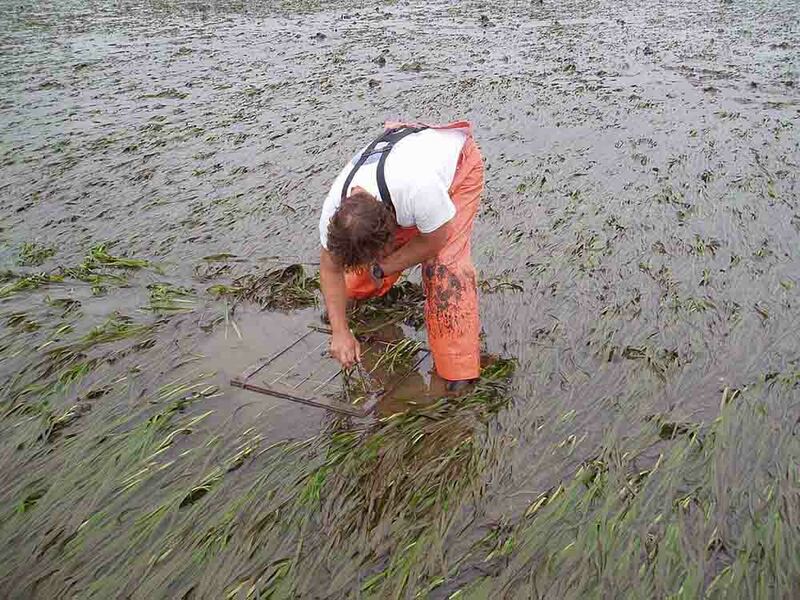 A healthy tide flat features an abundance of eelgrass that provide food and habitat for benthic algae, freshwater mussels, Dungeness crabs, shore birds such as plovers and dunlins; migratory birds such as brant, mallards and canvasback; and fish such as steelhead, cutthroat trout and coho, chum and Chinook salmon. An infested tide flat is one where a previously-rich habitat once teeming with a diversity of species has been transformed by bioturbating ghost shrimp into a sandy, unstable wasteland largely devoid of life. The destruction of this habitat may be irreversible, and can only be prevented by ongoing control of burrowing shrimp numbers. Because no state or local agency has ever acted to control the infestation, shellfish farmers long ago assumed responsibility to protect the ecology of the bay. Since the 1960s, shellfish farmers applied a compound called carbaryl to directly control the infestation on their shellfish beds with no negative impacts to the environment. 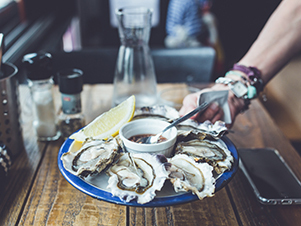 After almost two decades of university research, shellfish farmers chose to phase out carbaryl, and now some seek to apply a lower-impact, next-generation, EPA-approved alternative called imidacloprid. Researchers tested numerous other pest control methods, including habenero oil, electrofishing, high pressure water injection, heat, suction harvesting, air bubble harvesting, crushing, trapping, sound waves, surface covering and more — before arriving upon imidacloprid. Because of its low toxicity to birds and mammals – including humans – imidacloprid is the most-widely-used pesticide in the world. A 2015 environmental impact statement performed by the state Department of Ecology found that imidacloprid presents no adverse impacts to sediment-, water-, plant-, animal- or human-health. 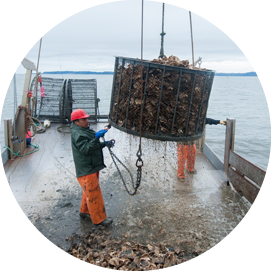 Shellfish farmers in Willapa Bay will continue to invest in and support ongoing research at the university and federal level into even more advanced and ecologically friendly solutions. Imidacloprid is water soluble and becomes quickly diluted in marine environments. The low amount of active ingredient breaks down rapidly and becomes undetectable in water typically only 24-hours after application. Imidacloprid treatments in the proposed amounts is not potent enough to kill burrowing shrimp or most non-target species; rather the shrimp are immobilized in their burrows and smothered when they collapse. In order to control the infestation, no more than eight ounces of imidacloprid would be applied per tideland acre on a maximum of 500 commercial acres (the equivalent of an asprin tablet per square meter). 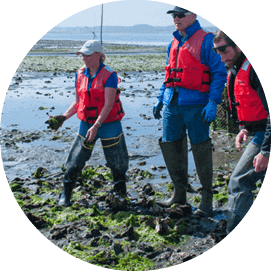 Shellfish farmers will contract with scientist and laboratories at, for example, Washington State University and the Pacific Shellfish Institute to conduct regular monitoring to ensure that rigorous water and sediment safety levels are always met. 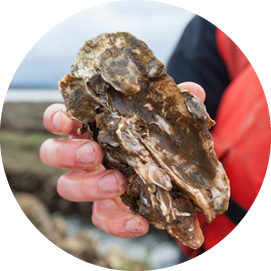 Unlike standard agriculture pest-control practices where imidacloprid is often applied directly on grains, vegetables, fruit, and more, oyster growers target the sediment beneath where the oysters are to be planted. Oysters would only be planted on beds long after the compound has dissipated. When used, imidacloprid would be applied to most individual oyster beds only once every four or five years. In any single year, imidacloprid treatments would be applied to about half a percent of the total acres of Willapa Bay. As Governor Inslee said in a letter to the shellfish farmers, “The shellfish industry is very important to Washington State — for the food you produce, the jobs you create, the resources you steward, and much more. “I recognize the importance of the industry to Pacific and Grays Harbor counties as a key part of the local economy and to the United States for the tremendous oyster production you supply locally and around the country. 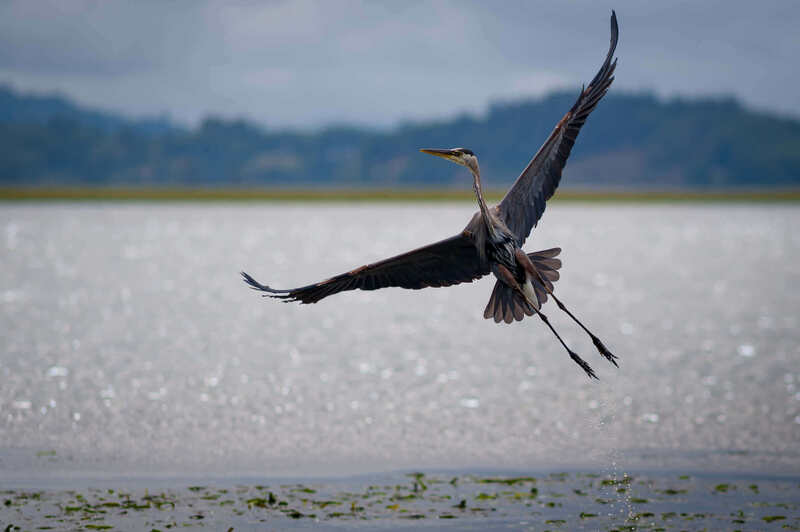 The pristine growing waters of Willapa Bay are responsible for the distinctive, delicious flavor and high nutrient-value of Willapa Bay shellfish prized the world over, and are the reason why Willapa Bay leads the nation in shellfish production. The shellfish growers’ proposed pest-control program will support new, innovative ways for Willapa Bay’s shellfish industry to continue bringing the healthy and nutritious bounty of the sea to your table safely and sustainably. The shellfish industry has been central to the rural economies of Pacific and Grays Harbor counties — and to workers who live and raise their families there — for generations. Under the shellfish farmers’ proposed pest-control program, farms will not be forced to close their operations because of bed acreage lost to the burrowing shrimp infestation and will remain central to those rural economies — and their rural workers — for generations to come. Willapa Bay shellfish farmers’ commitment to sustainability goes beyond just their small businesses — it is a commitment to the sustainability of the estuary itself. Viable off-bottom culture methods such as long-lining or bagging only delay the infestation’s impact on a shellfish crop, and do little to protect the rest of the estuary’s biodiversity from the infestation’s devastation. 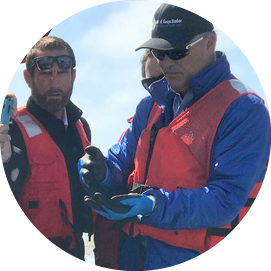 The shellfish farmers’ proposed pest-control program will not only ensure their their businesses can survive the explosive infestation, but, by controlling the pest, will help ensure the delicate ecology of the bay survives as well. Willapa Bay shellfish farmers remain committed to growing healthy, sustainable shellfish products, supporting the rural economy, and providing vital ecological services to the estuary of Willapa Bay.